The BRIGHT Otimati Youth Research Clinic in Ilembe had the honour of welcoming dignitaries from the National Department of Health (DoH) Head office in Tshwane. The dignitaries were led by the Director for Communicable Disease Control Ms Tsakani Furumele and the Head of Helminth Control Mrs Takalani Nemungadi. Also present were six of their team members and a representative from the Ilembe DoH, Mrs Nontobeko Ndadane. This comes as the BRIGHT research team embarks on the world’s first a randomized control trial on important research questions. Young women in Ilembe and King Cetshwayo Districts will again be invited for world class investigations. 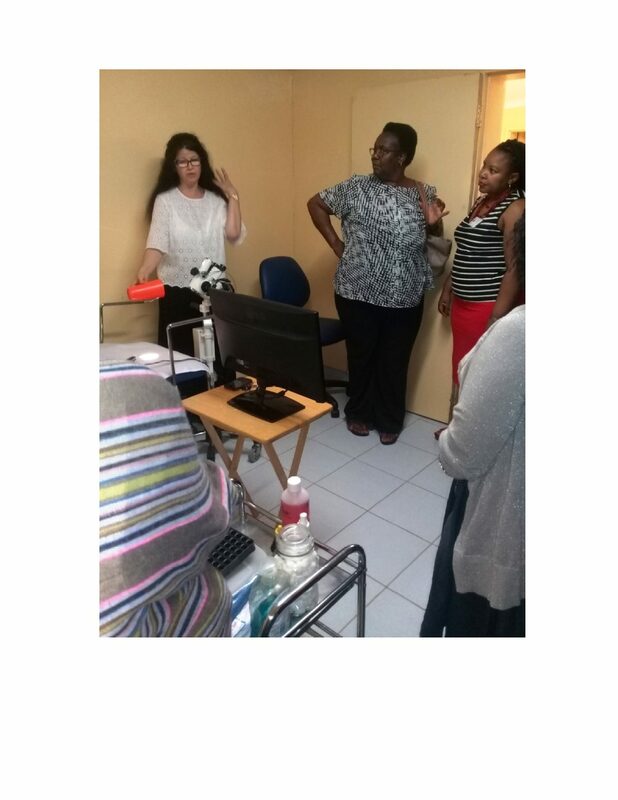 The dignitaries were given a tour of the research clinic and staff members presented the study recruitment activities, from driving to get the high school learners to how they go about with the procedures. The delegation was in KZN for a three day meeting dedicated to several aspects of Helminthic diseases, Bilharzia has been found to be very common in King Cetshwayo and Ilembe Districts.